Welcome to the 56th annual Canadian Association of Law Libraries Conference! 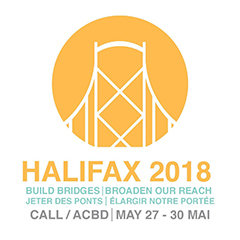 On behalf of the organizing committee for the 2018 CALL/ACBD Conference, it is with great pleasure that we welcome you to Halifax, Nova Scotia from May 27 to 30, 2018! This entry was posted in 2018 Shows, News & Updates, Show Resources, Trade Shows and tagged 2018, Conference, Displays, Exhibits, expo, fabric displays, Fabric Exhibits, fabric wall, halifax, Show Services, trade show, trade show display, Trade Shows. Bookmark the permalink.